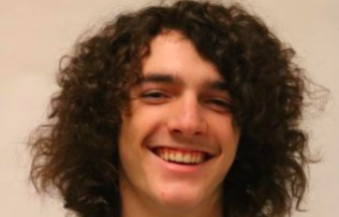 Atlantic High School sophomore Colin Mullenix is in the process of completing his first year of journalism. While in high school Mullenix has been involved in football, wrestling, baseball, journalism and track. Mullenix says he enjoys being in journalism because he likes learning about it. He decided to take the class, “because it interested him.” Mullenix said he plans to go into broadcasting and would like to be a sports anchor. Outside of school Mullenix likes to “chill” and watch football. The most memorable moment of school so far was football season his sophomore year because he played varsity and made it through the season without any injuries. Future plans for Mullenix include running track or playing football in college and later becoming a diesel mechanic.